A two-vehicle crash on Belle Terre Parkway and Ponce de Leon Boulevard in Palm Coast around 6:45 p.m. sent three people to the hospital with minor injuries and snared traffic as paramedics worked the scene. The cause of the crash was a driver’s violation of another driver’s right of way, a Florida Highway Patrol investigator at the scene said. 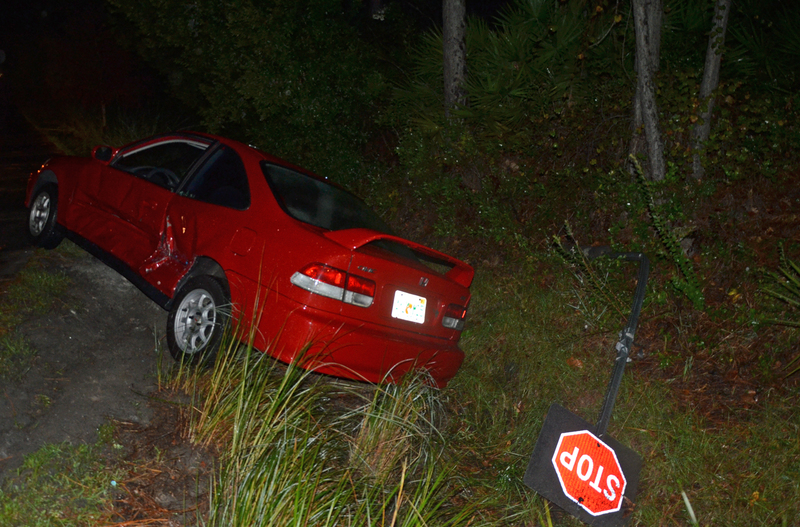 According to the investigator, Jamelec Robledo, a 30-year-old Palm Coast resident, was at the wheel of a Honda, with two passengers, driving north on Belle Terre. 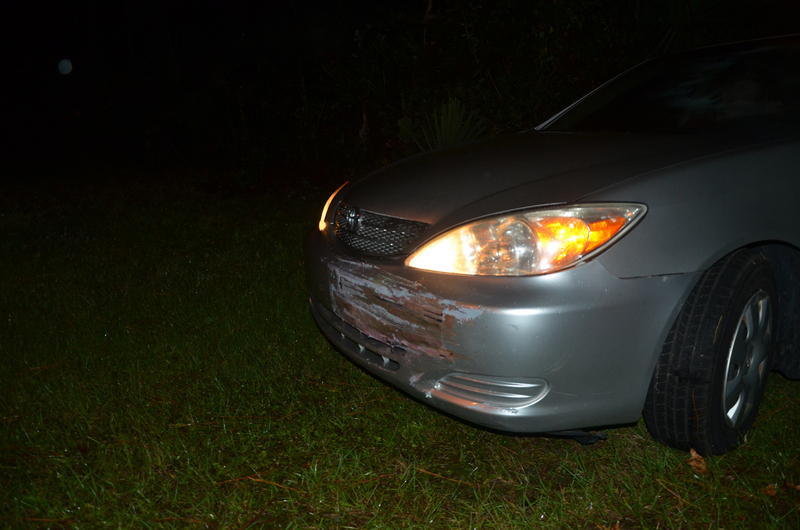 Mary Hyadzik, a 58-year-old Palm Coast resident, was at the wheel of her Toyota Camry, driving south. She made a left turn, intending to take Ponce de Leon. It was dark and rainy. The front of the Camry collided with the Honda, somewhat gashing and swiping the Honda’s left flank and propelling it into the ditch, just north of the intersection. The investigator said the Honda’s occupants were taken to Florida Hospital Flagler as a precautionary measure. Hyadzik was not hurt. 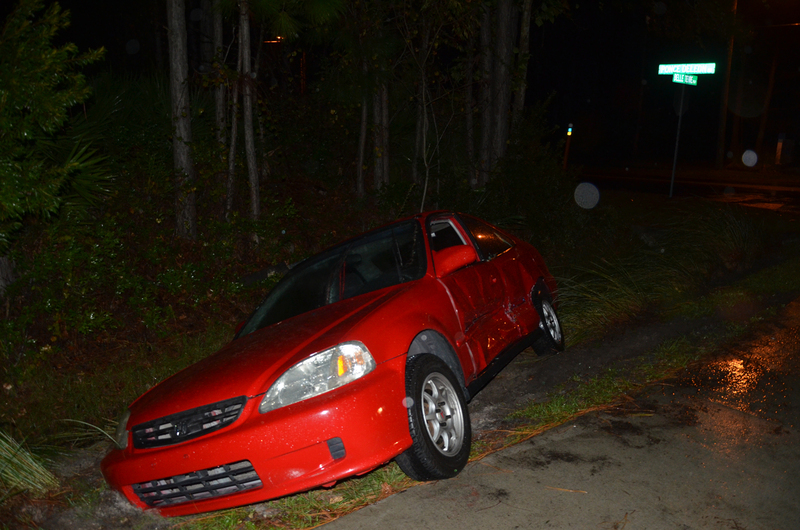 The Palm Coast Fire Department and Flagler County Fire Rescue responded. Flagler County Sheriff’s Office deputies were near the scene, involved in an unrelated traffic stop in the middle of the Belle Terre median, a few dozen yards north of the crash scene. By 7:40 p.m., traffic was back to normal.